For over 50 years, the Company and its predecessors have owned and operated a magnesia mine and processing plant located in Gabbs, Nevada that will continue to offer domestically mined source of magnesia ore in the United States well into the future. Global food production needs will double in the next 50 years as our world population grows by 2.5 billion more people. Magnesium oxide and magnesium sulfate are essential nutrients in soil fertility, plant photosynthesis, and animal physiology. From source point, to wastewater collection and treatment, to discharge back into the environment, billions of gallons of water and thousands of miles of water infrastructure systems are treated each day with the neutralizing performance of magnesia. Research and development has produced environmentally benign applications of magnesium-based cement additives and other unique construction products. Material properties include high early strength, persistent bonding to substrates, and acid resistance. Ideal product candidates for many LEED applications. When utilized in coal-fired or oil-fired power plants, magnesium hydroxide can help sequester SOx gas particles as they form and improve SOx gas removal efficiencies. When added to the fuel-source, a higher melting point slag is produced that is more friable and less adhesive inside the boiler or boiler tubes, improving performance and longevity. 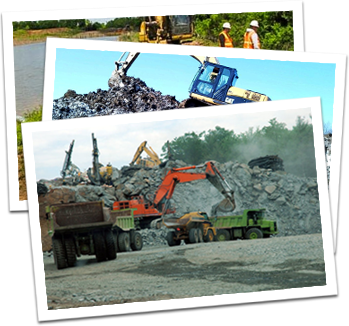 Successfully treating millions of tons of heavy metal contaminated waste at hundreds of environmental remediation project sites across the United States and the globe. Reclaiming brownfield and Superfund sites for redevelopment and economic growth. Supported with the experience, knowledge and service of over 200 employees. For over 50 years, Premier Magnesia, LLC and its predecessors have been the global market leader in magnesia-based product applications and technical expertise; providing proven solutions for dozens of industries. The largest producer of Epsom Salts in North America, manufacturing magnesium sulfate products to the highest standards and backing it with industry expertise and innovation. Amphomag is a rapid response chemistry that safely absorbs and treats all spills by neutralizing both acids and bases while controlling odors and neutralizing gases. EnviroBlend® is the trusted leader in heavy metals stabilization, successfully treating over 6 million tons of contaminated waste at hundreds of industrial facilities and remediation projects. Thioguard TST (Total System Treatment) is a non-hazardous, technical grade magnesia slurry for use in the treatment of municipal wastewater and sanitary sewer systems. Premier Magnesia is proud to offer the MAGOX® product line of Magnesium Oxide for industrial applications, rubber & plastics, air pollution, wastewater, animal feed & nutrition and soil fertility. PREVent-C® shrinkage-reducing and crack-control concrete admixture is a specially formulated powder that provides dual functionality to prevent cracking or curling caused by autogenous shrinkage. Magriculture® is agricultural-grade Magnesium Sulfate Heptahydrate which is a highly soluble and bioavailable source of Magnesium and Sulfur for the health of soils, plants and animals. The RE3 Conference is a national event, focused for 3-days on best practices in brownfield remediation and redevelopment through applied technologies and thought-leadership. With costs of disposal being one of the largest affiliated with remedial environmental metal treatment, make sure you are using the most cost-effective product. Proper instructions on how to store your Mg(OH)2 slurries for best results. Solubility and Absorption are the Keys to Bioavailability. A Bio-Receptive Mineral, Nutrient and Alkalinity Source For the Entire Wastewater Treatment System. Keep in the know on advancing industry practices and products. See how Aquamag can help you in desulfurizing flue gas. Wastewater treatment plant operators understand that their facility functions best at some ideal pH level. Premier Magnesia, LLC is a global market leader in magnesia based products and solutions for agricultural, industrial and water treatment markets. We are one of the world's principal suppliers of high purity calcined magnesium oxide and magnesium hydroxide products. For over 50 years, the Company and its predecessors has owned and operated a magnesia mine and processing plant located in Gabbs, Nevada that will continue to offer the only domestically mined source of magnesia ore in the United States well into the future. Our corporate headquarters is located in Waynesville, North Carolina. Contact our customer service and sales professionals to help obtain maximum, cost-effective performance in your specific application.